It appears that YI Technology are about to finally release a drone. Although it’s not the one we’ve all been waiting over 18 months for. There’s still no word on what’s happening with the YI Erida, but what is coming is a new tiny Spark-like drone. The Pixie. Unlike the DJI Spark, though, this one will shoot 4K video. While this is technically a rumour, there is a complete user manual online. It seems unlikely to go to all the trouble of creating that if the drone itself weren’t real. According to specs, it’ll shoot 4K, 1080p and 720p video with timelapse and burst mode 15MP photo features. It operates on 2.4Ghz and 5Ghz WiFi, with a suggested range of 100 metres. YI is introducing YI Lite, an upgrade to their first generation action camera. It’s light and compact, capable of capturing 1080p/60fps videos and 16MP stills. It shoots 4K videos and timelapse as well, with timelapse at 30fps. However, the 4K video is only available at 15fps. Still, YI Lite has some advantages over the original YI action camera. Sami Luo has made a video review and some sample footage, so check it out, along with the specs. 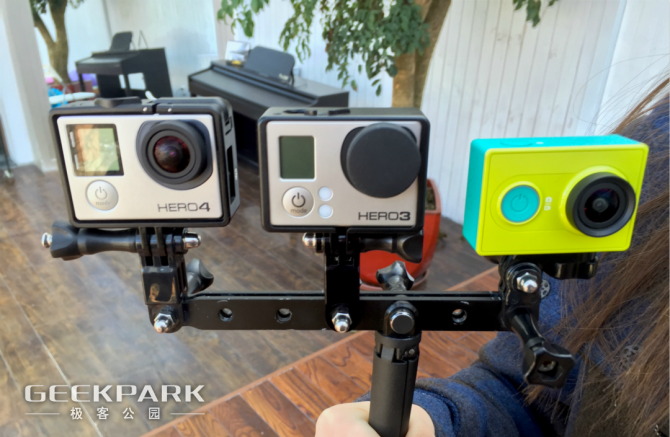 Yi Technology are releasing a handheld gimbal for action cameras? I’ve become a fan of Yi Technology’s action cameras since I started using them a couple of months ago. For what they offer, they’re an absolute bargain, and they work very well. A video posted to YouTube today suggests that they’re expanding their range to include stabilisation. Having recently picked up a gimbal for use with my phone, one soon realises how useful they are for handheld filming. I’ve been thinking about picking up another for using with action cameras, and it looks like the list of options just got a little longer. 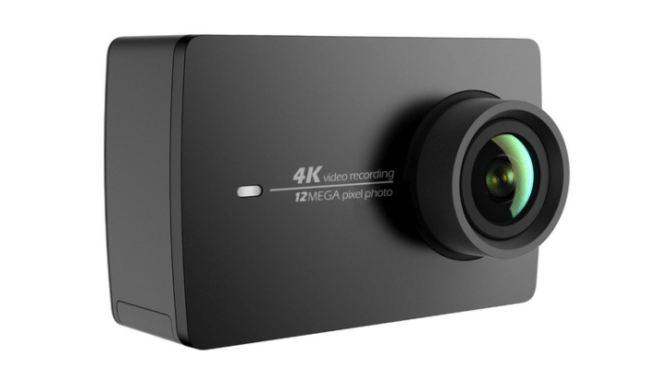 The Yi 4K Action camera from Yi Technology was launched in China back in May. If buyers in other countries wanted it, they’d have to order from there and deal with often fairly long shipping times. Now, the Yi 4K has been officially launched in the USA and is available on Amazon. Normally, Chinese action cams don’t tend to be a big deal, but the original Yi HD 1080p action camera proved itself to be a pretty worthy contender which, for the most part, held up well against the GoPro Hero3+ Silver, especially once you started hacking it.